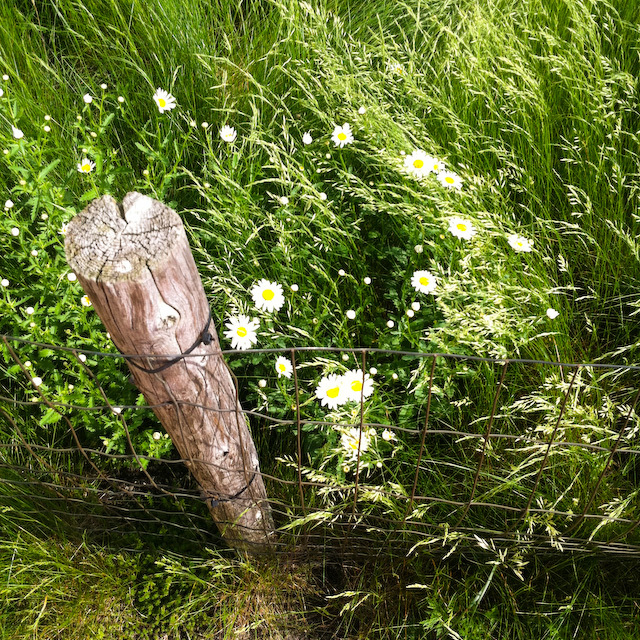 Concrete Flower | Discovering beauty & style in the urban landscape. Haven’t updated in so long now, ooops. Sometimes life just happens, right? I have lots of exciting news, but first I wanted to share an exciting new thing happening every Saturday in Williamsburg. Smorgasburg is a big food fair (a Brooklyn Flea for foodies!) featuring what seems like a hundred different food vendors. 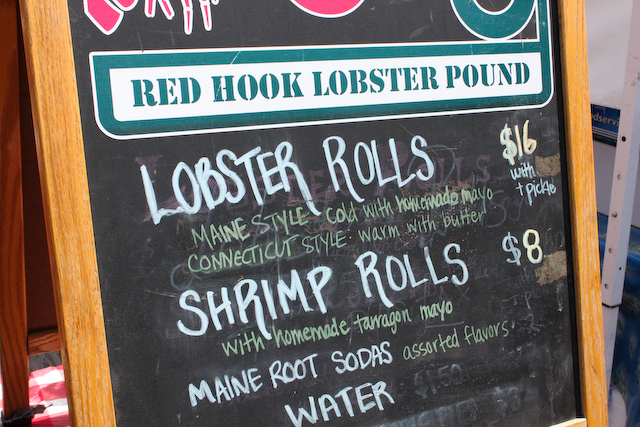 We got lobster rolls from the Red Hook Lobster Pound. I’ll stray from my mostly vegan diet any day for one of these heavenly buttery rolls. 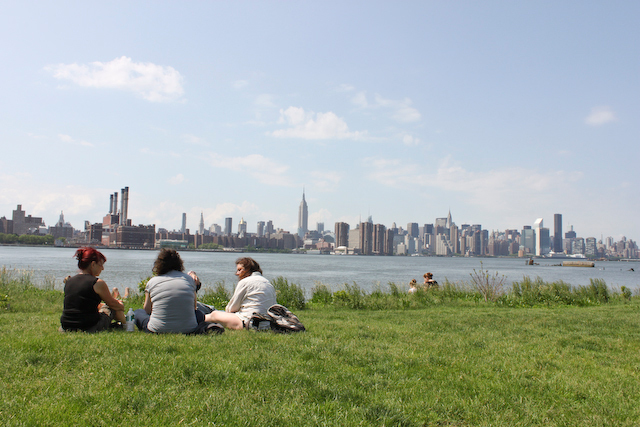 We brought them down to the park right there, on the Williamsburg Waterfront, which has a killer-view of Manhattan. I wore this new romper by Society for Rational Dress that I bought (second hand) at Beacon’s Closet the other day. It’s going to be one of my total summer faves, I just know it. So comfy and easy to wear. 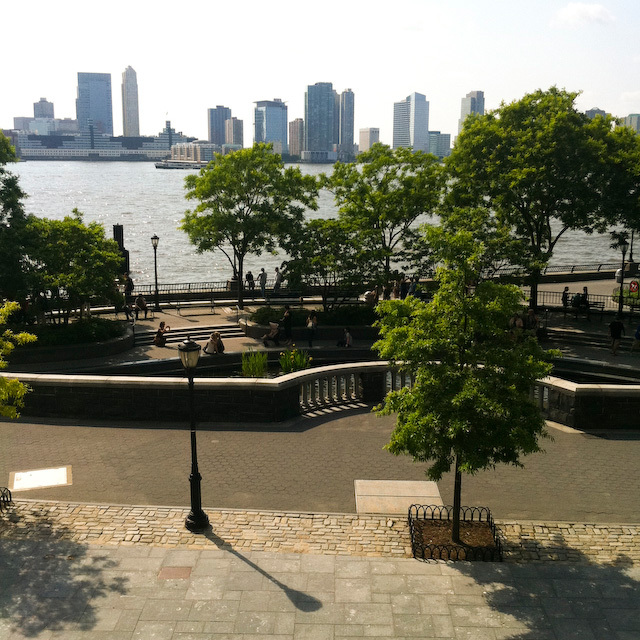 Having always been a Brooklyn-girl, I always forget how nice it is on the West side on Manhattan, down by Battery Park. 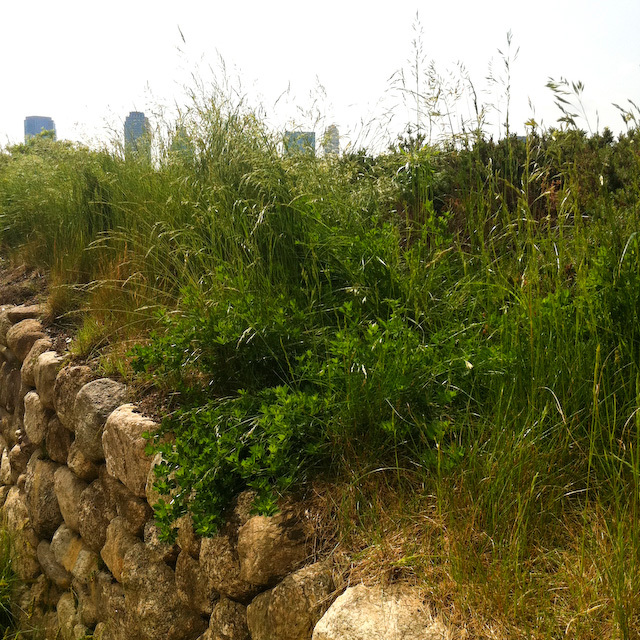 After a matinee movie screening the other day, we walked over toward the water and discovered this lovely oasis — the Irish Hunger Memorial Garden. 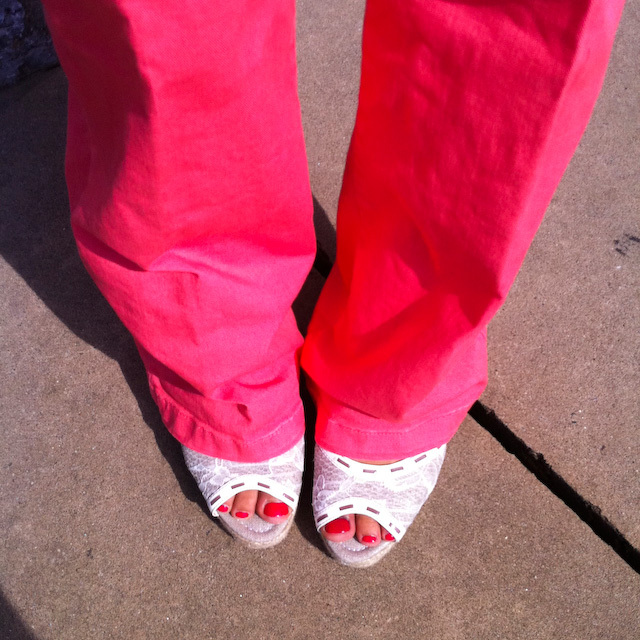 I wore my new pair of pink pants, scored at (second hand store) Beacon’s Closet for $24.95. They’re so hot pink the camera doesn’t know what to do with them. This is sort of the true color, even though they look salmon-colored in the other shots. 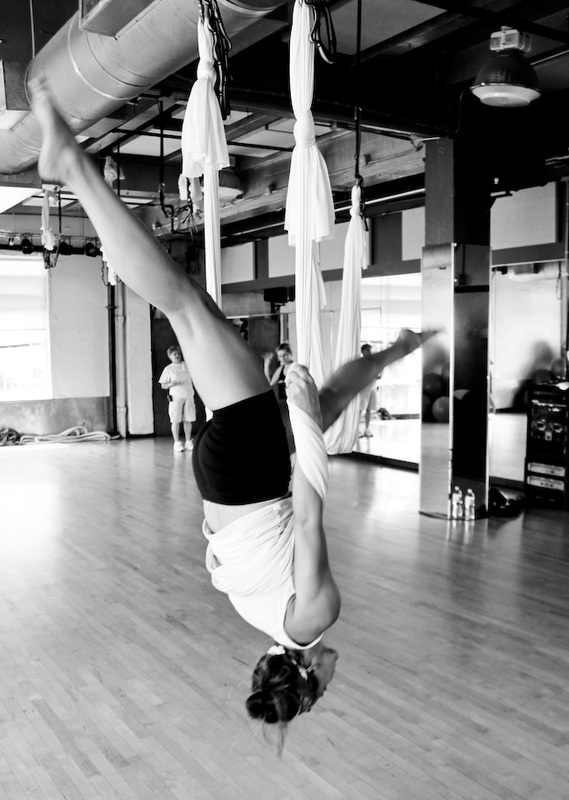 Before I moved to a different neighborhood (and, with that, different gym) in NYC I used to go to the Anti-gravity Yoga class at Crunch every weekend. It’s such a great way to relax and stay centered (nothing like the threat of falling and smashing your face on the floor to keep that focus!). When I saw that they had it at my old gym in Miami, I just had to go (and dragged a brave, unsuspecting friend with me). Here’s a demonstration of a kick-up-back-flip kind of thing. It’s fun to just let go! 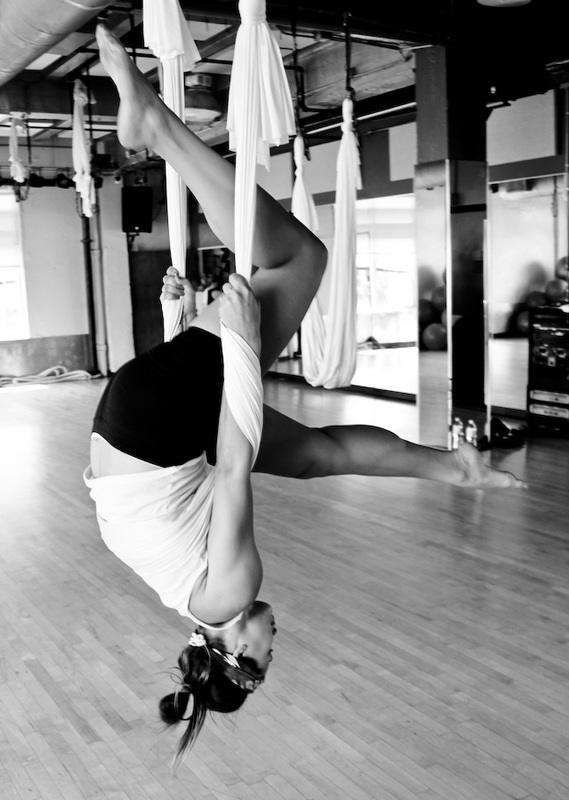 I’m not sure if I would call this yoga, though, it’s more like a combination of aerial acrobatics and a great core strength workout. The downsides, the hammock really puts a lot of pressure on your body, which can be very uncomfortable, and if you’re not used to all the hanging upside down (or haven’t done it in a while, like me) you can get a bit of a nauseating headache. Check out this Deco Drive (oh, how I miss your fluffy entertainment “news”) segment, filmed at Crunch Miami, where these photos were taken. Miami is one long Endless Summer, just what I needed last week. Then, when I get back to NYC, it’s summer here too, yay! Happy Memorial Day everyone, may this summer be warm, endless and filled with lots of picnics and backyard parties.